With the final chapter of everyone’s favourite dystopian teen franchise, The Hunger Games (what else? ), landing in cinemas this week, you may need some cinematic balm for the gaping hole it’s about to leave in your life. There’s much more to young adult (YA) adaptations than dystopias and love triangles, and critiques of mawkish over-sentimentality are often undeserved. Using a broad definition of YA, we’ve selected some of the finest adaptations you can lay your eyes on. Here’s to freeing teen adaptations from unwarranted reputations. LaGravenese’s adaptation makes the list because it’s based on a book that, while frankly presenting important subject matter, doesn’t exactly display editorial acumen. This anthology of the real life diaries kept by Erin Gruwell’s high school class is poorly organised with entries numbered sequentially. While this preserves the anonymity of each writer it destroys any sense of continuity between successive entries by a single student. Within the format of film the performances of the actors provide the continuity these stories need to achieve full impact. Plenty of stories throw supernatural bombshells at their teen characters to amplify the alienation of puberty, but where The Exorcist has possession and Carrie has telekinesis, Meg Cabot’s stellar set of epistolary novels shakes up Mia Thermopolis’ self-identity with the revelation that she’s heir to a small European principality. The film adaptation – but not its sequel – has everything a good teen movie needs; cringe-making awkwardness, questionable fashion, and a repulsive boyband-esque love interest. 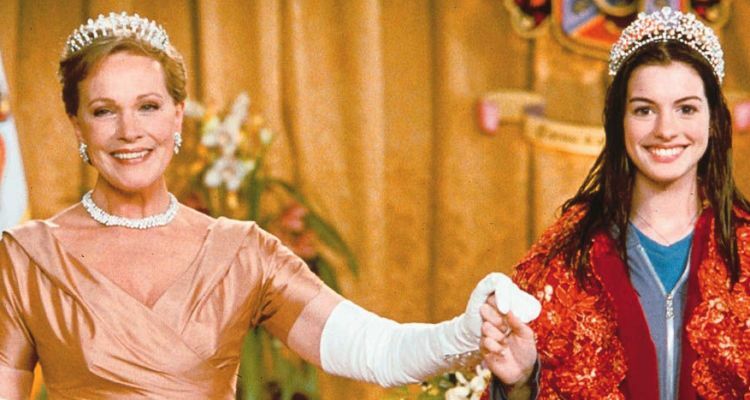 While Julie Andrews isn’t exactly the tattoo-eyebrowed sidecar-guzzler of the books, she’s a hoot as the severe yet softened European grandmother who, while visiting America, is just as much a fish out of water as Mia. Catching Fire stands out within the series due to the filmmakers’ abilities to maintain energy and interest in an instalment which exactly replicates the structure of the first film. Rather than action it’s the psychological and political implications of Katniss’ first Hunger Games that provide the most effective hook, with Jennifer Lawrence’s breathtaking performance ensuring the potential of Collins’ subject matter is reached. Though teen movies are a genre ignored by the major awarding bodies, the quality of Lawrence’s acting throughout the franchise matches that of her Oscar winning turn in Silver Linings Playbook. 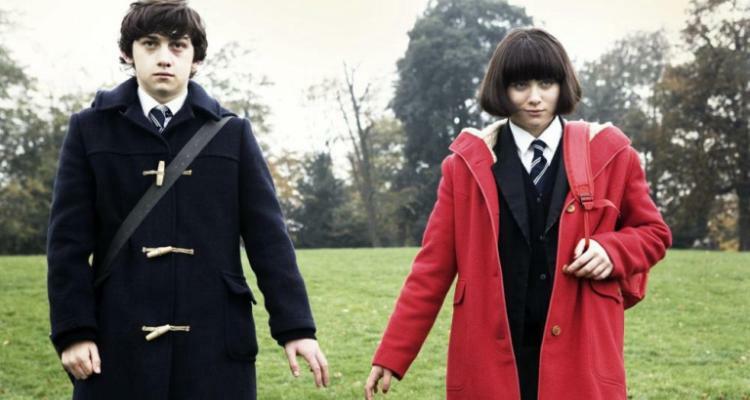 Craig Roberts superbly breathes life into the novel’s narrator, Oliver Tate. His bumbling exploits have all the cringe factor of Mia Thermopolis, yet he lives in a more recognisable and realistic world, which makes it all the more painfully funny. The depiction of romance in Dunthorne’s novel (his final project for the University of East Anglia’s Creative Writing MA), aptly translated in Ayoade’s screen version, is a far cry from the sap and idealisation of lesser YA adaptations such as If I Stay and The Fault in Our Stars. As Oliver feels his way through his first romantic relationship his misconceptions of the object of his affection – or affectation – are plain to see. Yasmin Paige’s Jordana is a brutally real teenager; sometimes cruel, bitter, and, like Oliver, falsely confident. While the periphery adult drama offers subplots combining dark, offbeat humour and emotional strife, Ayoade stays true to the novel’s spirit by never straying from Oliver’s always amusing perspective. Over a decade ago this cult adaptation of the book by celebrated graphic novelist Daniel Clowes embraced and amplified Clowes’ theme of young people struggling to find their feet, a motif now prevalent in the likes of Girls, Frances Ha and Mistress America. But rather than the mumblecore-inflected realism of Frances’ encounters in New York City, Ghost World takes place in a surreally distorted reality which reflects the despairing outlook of protagonist Enid (Thora Birch). Birch is phenomenal, fully embodying Zwigoff’s developed version of Clowes’ character, and carrying a narrative that’s populated only by loose thematic exploration and incidental encounters with eccentric residents of the small deadbeat town. Alfonso Gomez-Rejon’s sophomore feature is the complete antithesis of the criticism typically and lazily directed at teens-with-cancer movies, and due to the main characters’ hobby of amateur filmmaking it’s an ideal candidate for adaptation. The final product is utterly confident, and thanks to Andrews’ recalibration of his character and a staggeringly natural performance from lead Thomas Mann, even improves on the sometimes immature and obnoxious first person narration of the novel. Rather than simply following in the footsteps of My Sister’s Keeper, The Fault in Our Stars and Now is Good, Me and Earl and the Dying Girl adds something new to the sub-genre; it’s intelligent, brave and touching. Here is an adaptation in which the stars of script and cast are perfectly aligned. The young Joseph Gordon-Levitt is endearingly naïve, while the chemistry between Julia Stiles and the late Heath Ledger helps elevate a familiar plot to classic status. Of course, there are fantastic modernised enhancements and additions to the Bard’s work as well; as Dr Stratford, Larry Miller provides many laughs, only bested by Allison Janney’s Ms Perky in a few short yet unforgettable scenes opposite Ledger. 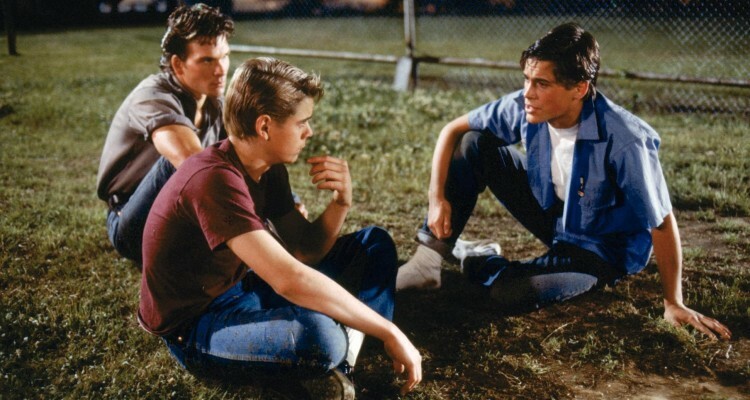 Although insider accounts suggest that, like several of his films, Francis Ford Coppola’s shoot on The Outsiders was hardly smooth sailing, what emerges is an emotionally and tonally faithful recreation of Hinton’s novel about young American gangs. Rowell and Coppola pay careful attention to the complex and changeable bonds of family, friendship and rivalry interrogated in Hinton’s novel – written when she was just 17 – and these are given powerful expression by an electric cast including Patrick Swayze, Rob Lowe, Emilio Estevez and especially C. Thomas Howell. While E.M. Forster may not exactly spring to mind as a great YA author, his narration and characters demonstrate a deep and sensitive understanding of human nature and behaviour. In A Room with a View the key message concerning the peril of suppressing one’s true emotions is played out in the contrast between Helena Bonham Carter’s Lucy Honeychurch and her older cousin Charlotte (Maggie Smith). 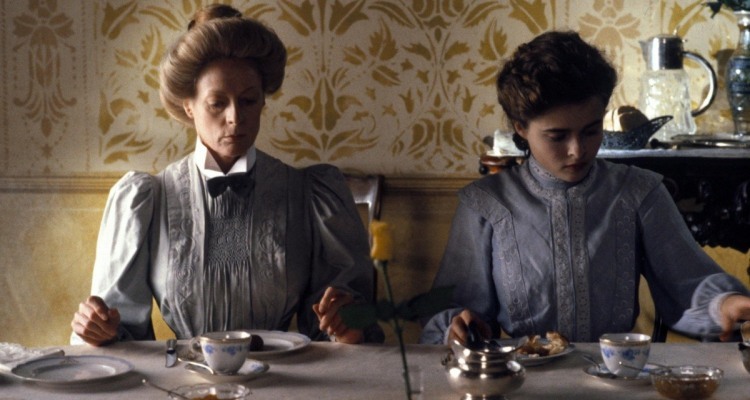 The Merchant-Ivory production triumphs because the filmmakers have both a nuanced understanding of Forster’s thesis, and due to their skill with cinematic grammar were able to express it in the visual medium. 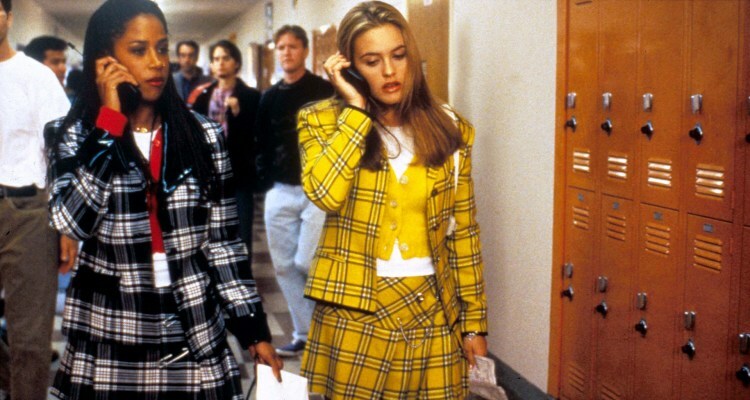 While Clueless may not have any of the profound pain of The Outsiders or the all-too-familiar growing pains of Ghost World, it is filled with teen angst of another kind; status. Heckerling’s transposition of the high society of Emma to the high school world of the ‘90s LA “Valley Girl” is nothing short of genius, riotously updating every little detail of Austen’s plot. After a drawn out casting process which considered Angelina Jolie, Keri Russell and Reese Witherspoon (among others) for the role of Cher, Silverstone delivered her career best performance. While Cher’s behaviour and attitudes are sometimes heinous, Silverstone’s hyperaware delivery of the superb voice over narration elevates Clueless from hilarious genre romp to an intelligent commentary and transposition.